Hangzhou, China, August 16, 2016 - Alibaba Group (NYSE: BABA) announced today that as a continuation of the success of the Group's inaugural 11.11 countdown gala last year, it will once again host a similar event this year in the hours leading up to the midnight start of the upcoming 2016 11.11 Global Shopping Festival. 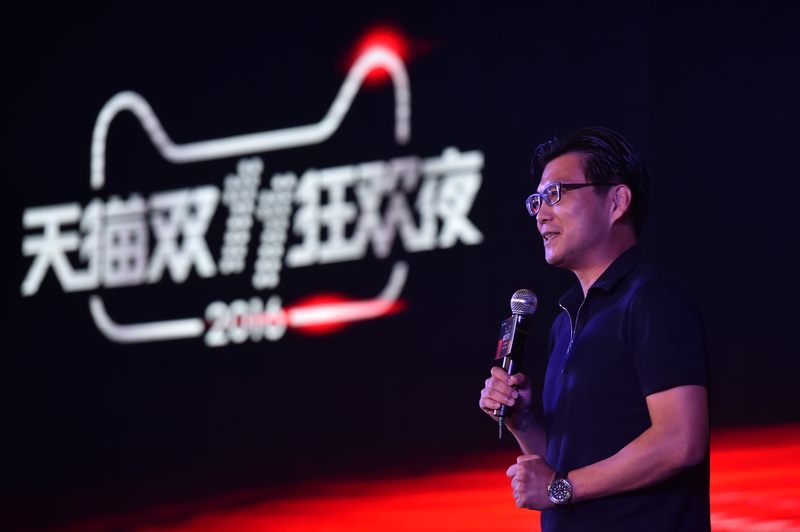 "Alibaba Group single-handedly created the iconic 11.11 shopping festival in China seven years ago to unlock the power of the Chinese consumer," said Chris Tung, Chief Marketing Officer of Alibaba Group. "Today, 11.11 has become not only a day for China to shop for deals, but truly a festival where people all over China and the world gather to celebrate a new and improved lifestyle, as well as a world of fun and opportunities made possible because of technology - namely the Internet, Mobile, and Big Data." At a press conference held in Hangzhou, China, Alibaba revealed that the gala will be live broadcasted by its official media partner, Zhejiang Satellite TV. The gala has also garnered a very substantial title sponsorship from Shanghai Jahwa, one of China's largest manufacturers of daily-used personal chemicals products company. Apart from Zhejiang Satellite TV, Alibaba's media assets like Youku Tudou, Tmall TV Box and UC Web etc. will be conducting live broadcast of the gala. "Last year we held a countdown gala for the first time to experiment with the idea of making 11.11 truly a day of fun and entertainment. People loved it," said Tung. "As Alibaba continues its globalization journey, we want to make sure that the whole world has an opportunity to witness and experience the festivities of 11.11. This year will be no exception. We look forward to creating another truly global, and fun-filled 11.11." Alibaba announced that it will be allocating four one-minute advertising time slots for free to consumers, brands, non-profit organizations and 11.11 participants during prime time live broadcasting of this year's gala, depending on the level of creativity in their ad submissions. This is just one of the many initiatives by the company to encourage innovation and originality. During the four-hour countdown gala on the eve of November 11 last year, broadcasted live internationally from the Water Cube National Aquatics Center in Beijing, consumers were able to enjoy an interactive multiscreen experience over mobile, online and through TV allowing them to watch, play and purchase at the same time. Approximately 130 million users visited the Taobao App during the 2015 11.11 gala, while a live audience of nearly 100 million people from within China, and around the world participated in the event. With globalization as a key theme of the 11.11, the star-studded gala included the guest appearances of various international celebrities. The 11.11 shopping festival began in 2009 with participation from just 27 merchants as an event for Tmall.com merchants and consumers to raise awareness of the value in online shopping. Some refer to the event as the Singles Day Sale because it falls on Singles Day, a day for Chinese young single people to celebrate their independence by treating themselves to a special purchase. Seven years later, 11.11 has become a global shopping event with participating merchants in the tens of thousands, buyers in the millions, and total sales in the billions. For additional history and facts from last year's festival, as well as the latest news and updates on the 2016 11.11 Global Shopping Celebration, please visit corporate news site Alizila (www.alizila.com) or go to Alibaba Group corporate website (www.AlibabaGroup.com). Alibaba Group's mission is to make it easy to do business anywhere. It is the largest retail commerce company in the world in terms of gross merchandise volume. Founded in 1999, the company provides the fundamental technology infrastructure and marketing reach to help businesses leverage the power of the Internet to establish an online presence and conduct commerce and engage with hundreds of millions of consumers and other businesses.